WASHINGTON, DC – 4/4/17 – SUCCESS! Because readers got out of their chairs and became visible by contacting representatives by phone, email and regular mail, office visits, sending letters to the editor challenging news reports, establishing a relationship with America's leaders and standing up to be counted, a major victory astonished the enemy. 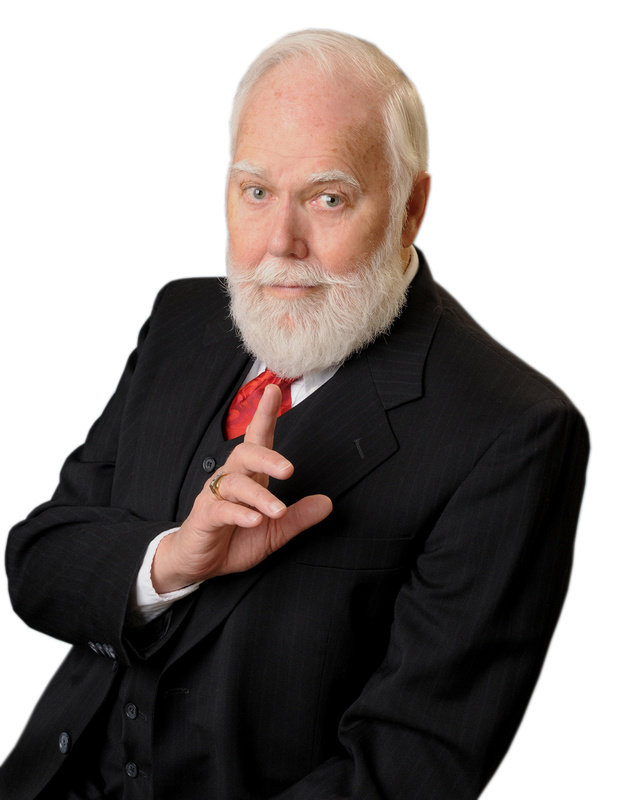 The voice of this minister-columnist has consistently echoed in the wilderness that Christians must take a stand and push back against the "progressives" who have, under Satan's instructions, tried to silence Christianity. The 'progressives' have not only declared war on Christianity along with its morals, but indeed, they are attacking God Himself. Not a wise thing to do. This is the last thing Soros wants. A Christian's mind cannot be enslaved, making it impossible to move the U.S. into the Communist ruled One World Order. The push-back finally manifested and Congress has now taken needed action to halt this attack on Christianity, its ministers, military chaplains, and what's more, they have gone on record to do so. According to Charisma, a letter to Col. James P. Ryan, commanding officer of the 157th Air Refueling Wing based at Pease Air National Guard Base in New Hampshire, the bicameral group of congressmen and senators wrote of their support for this decision to maintain the chaplain's prayers at all military ceremonies. At last! CHEERS! As you know, these conscience protections have been implemented by the Department of Defense through two instructions ... These instructions make clear that expressions of belief are protected within the bounds of good order and discipline. Under these instructions, no service member may discriminate or take adverse personnel action on the basis of these actions by a chaplain. The Establishment Clause exists to ensure that the government cannot affirmatively impose or elevate one religion over another. However, it does not prohibit the government from referencing religion altogether, nor does it require that government officials proactively scrub all religious references from the public square. Rather, the Establishment Clause ensures both that the government does not show preference to a certain religion and that the government does not take away an individual's ability to exercise religion. The Supreme Court recently stated, "It is an elemental First Amendment principle that government may not coerce its citizens to support or participate in any religion or its exercise". ... The court went on to state that "an Establishment Clause violation is not made out any time a person experiences a sense of affront from the expression of contrary views..."
In today's culture in which religious freedom is under attack, we want you to know that your positive decision has not gone unnoticed. We look forward to working with you to protect the right to religious freedom for our service members and chaplains. "The Air Force has again acted with courage and wisdom in affirming that our service men and women have the right to observe their respective religions or no religion at all," he said. 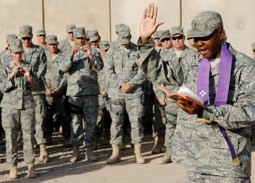 "Chaplains contribute to the holistic well-being of American troops, and to attack their role is to undermine the free exercise rights of all service members. I will continue to stand by Pease Air National Guard Base as it protects the freedom of the individuals who sacrifice to preserve the liberties of all Americans."